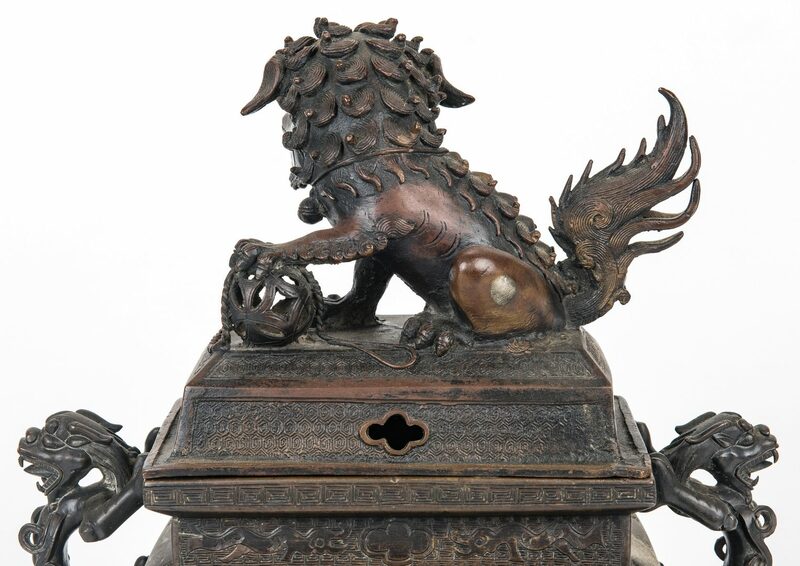 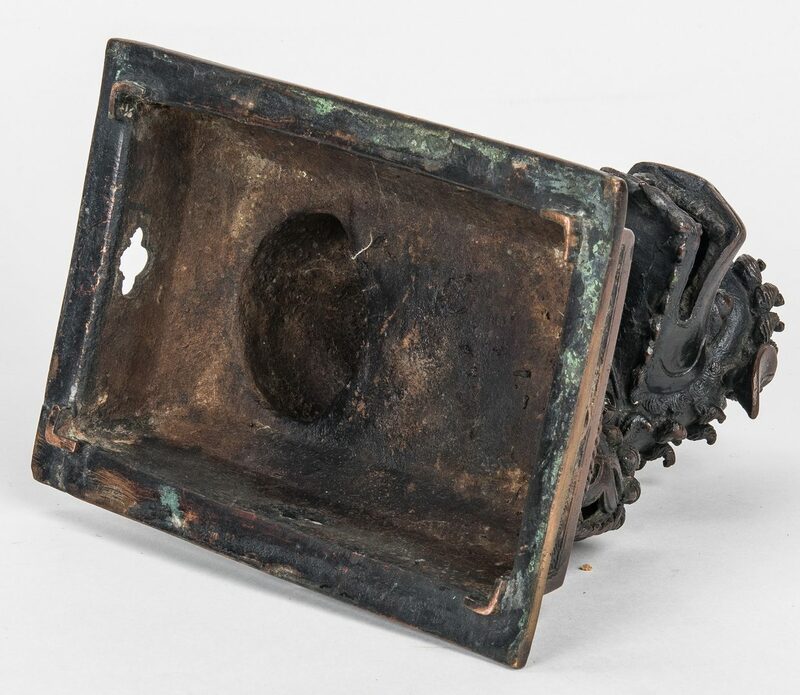 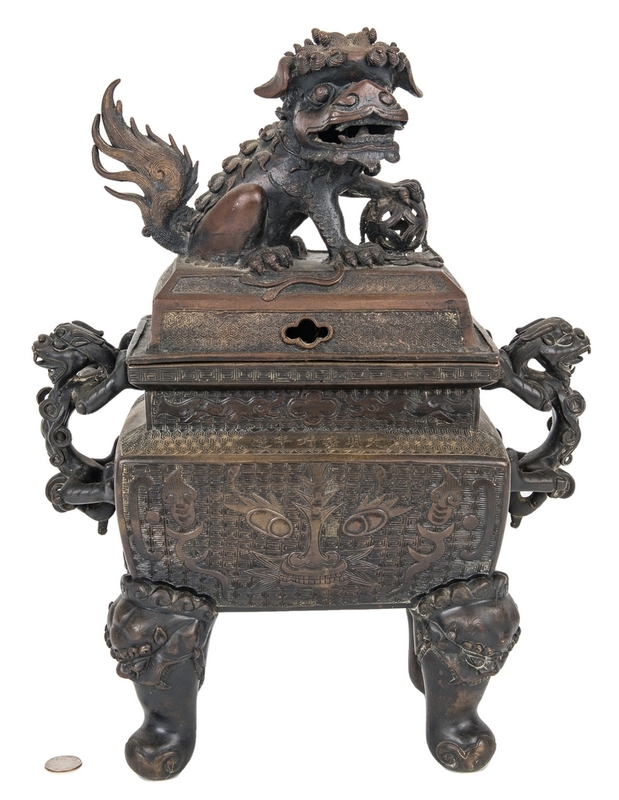 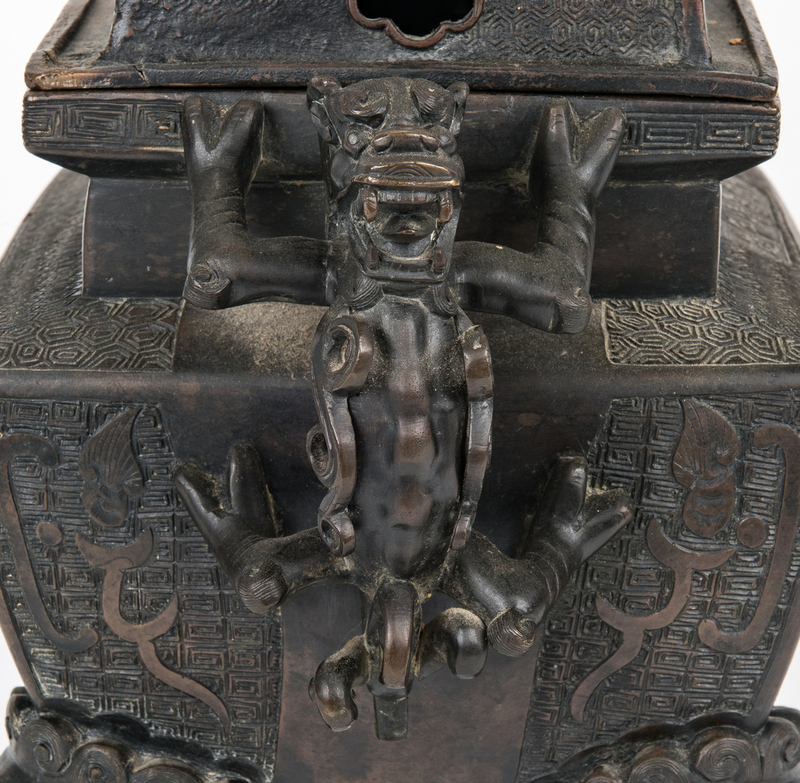 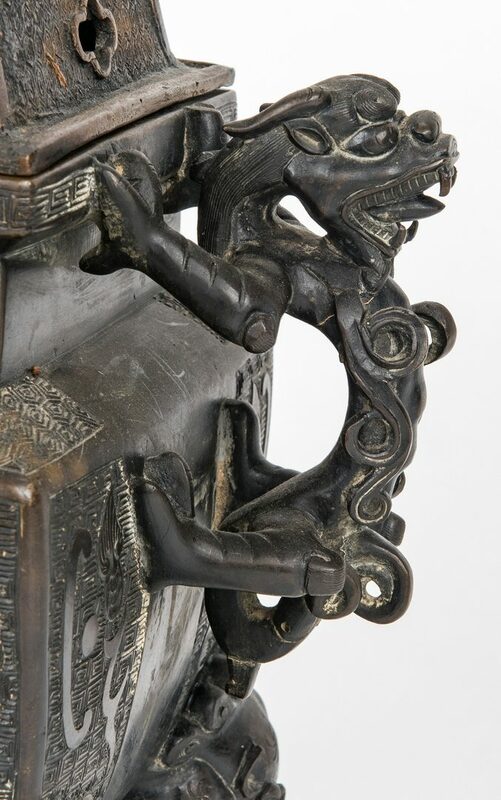 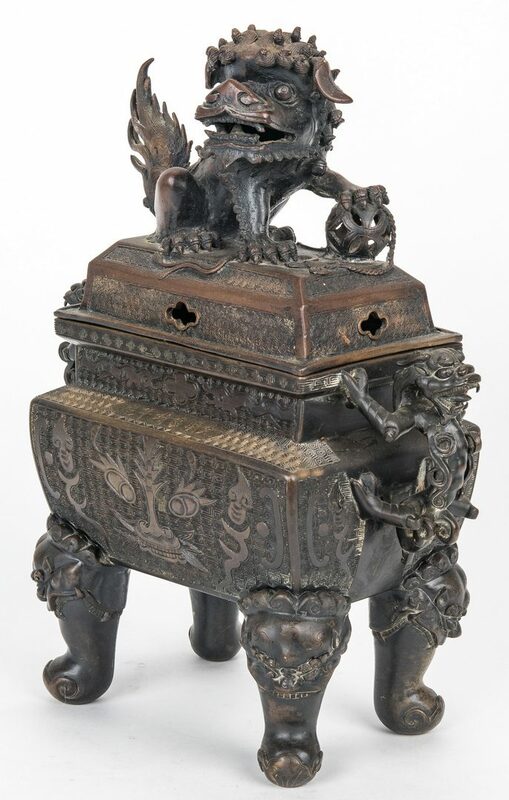 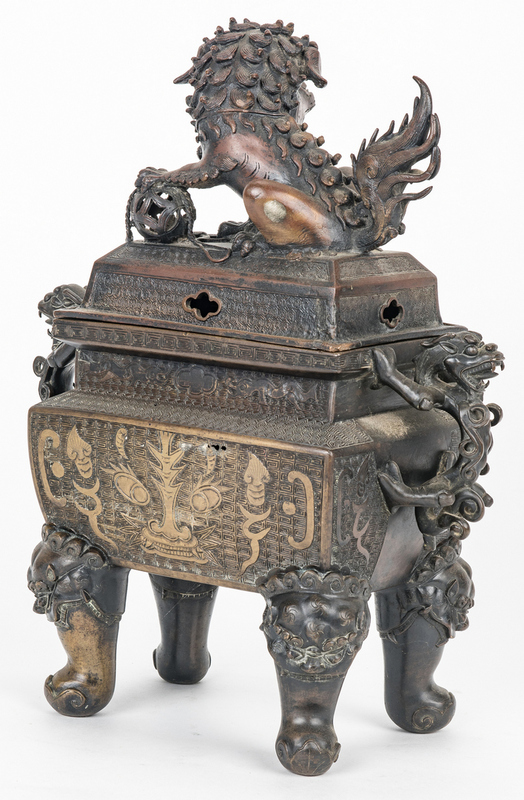 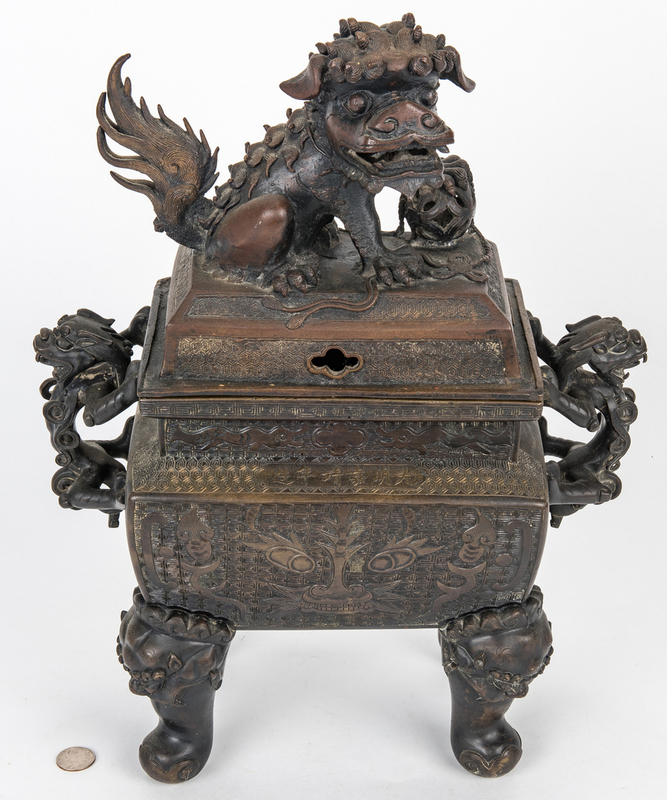 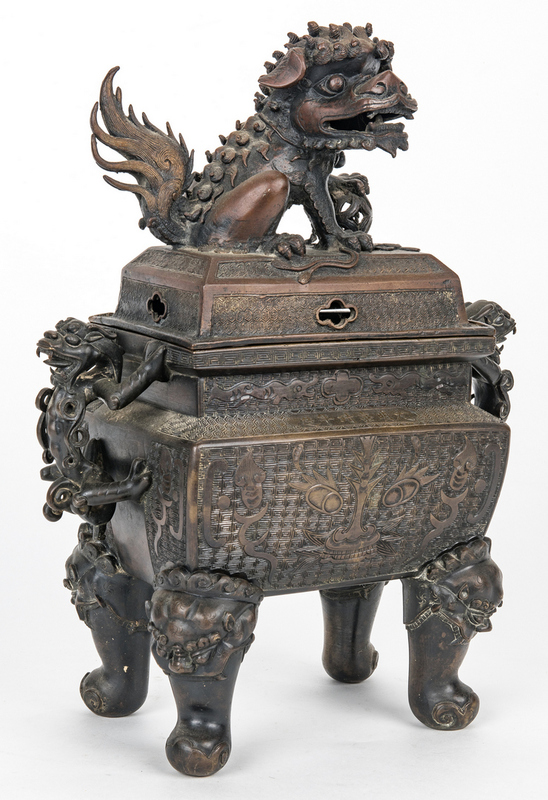 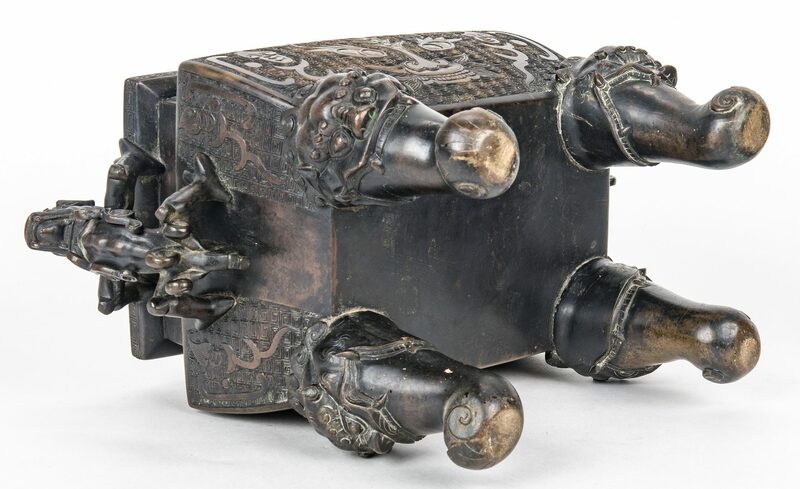 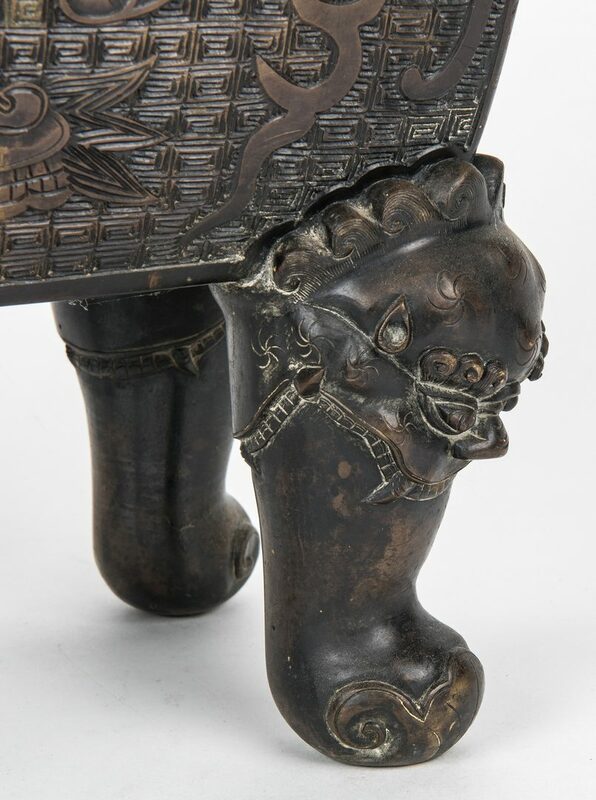 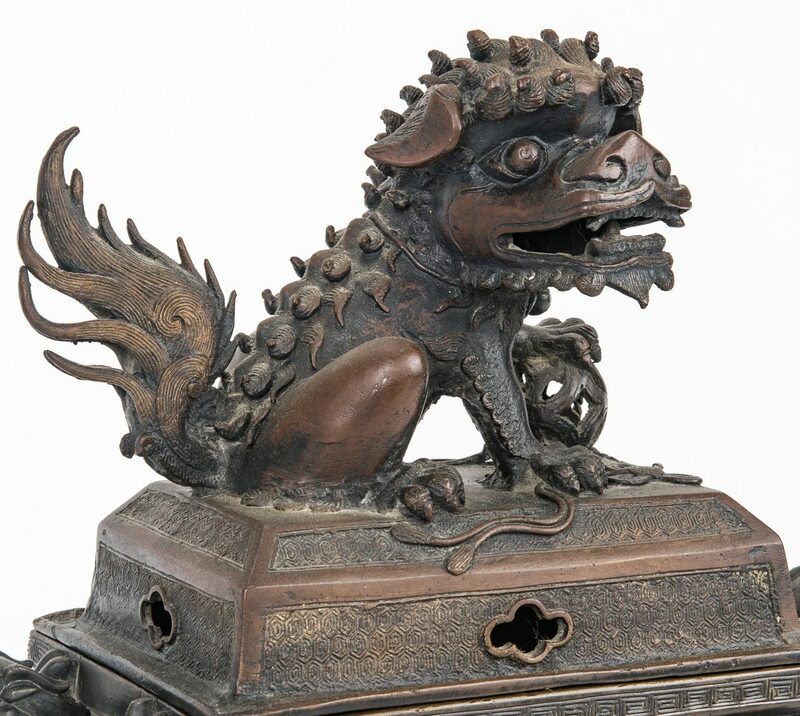 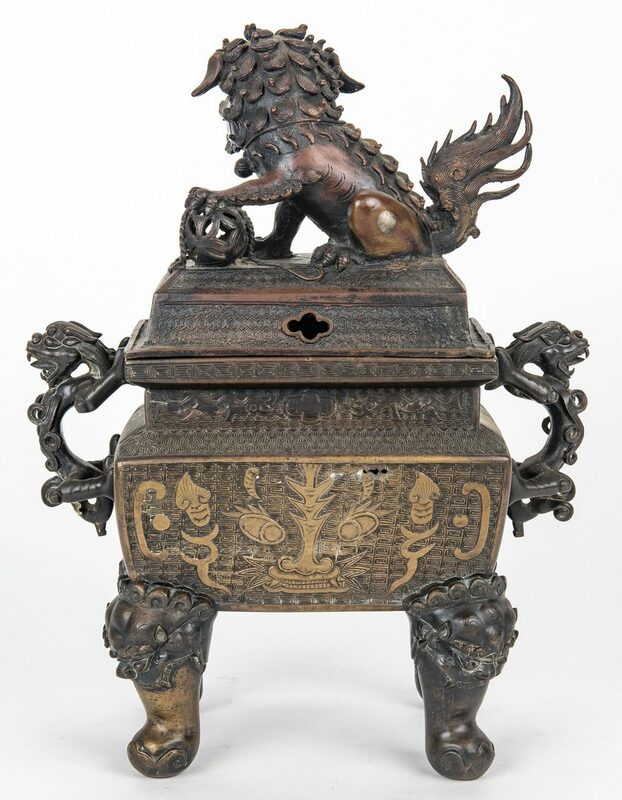 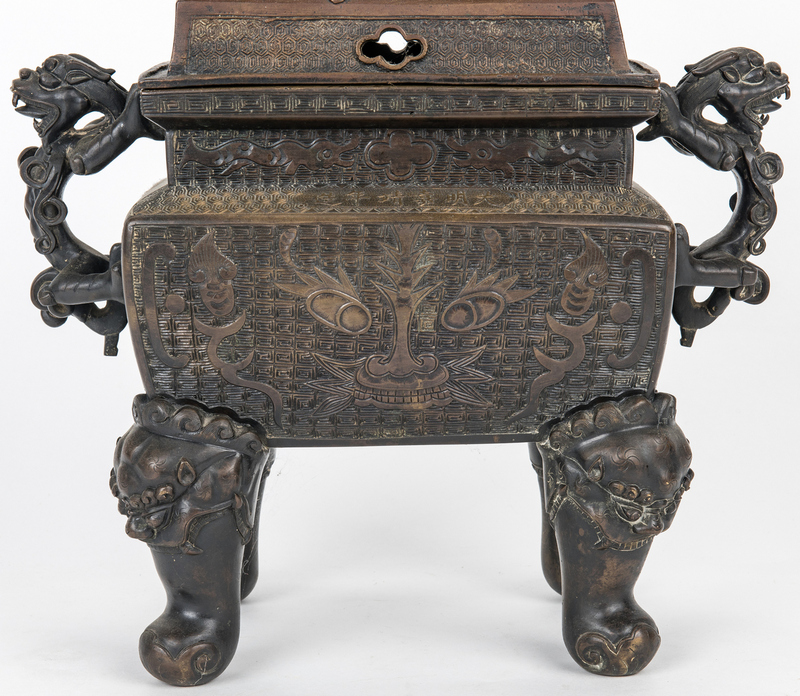 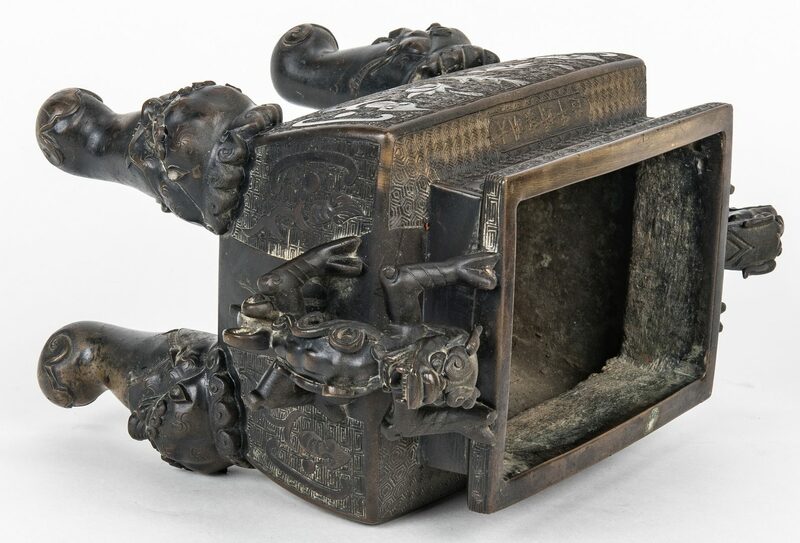 Large Chinese bronze lidded ritual censer, the top with a figural foo dog or dragon posed with its left front paw atop a pierced ball, the base with foo dog or dragon figural handles, taotie mask decoration to each side, raised on curved legs with taotie mask knees and terminating in scrolled feet. 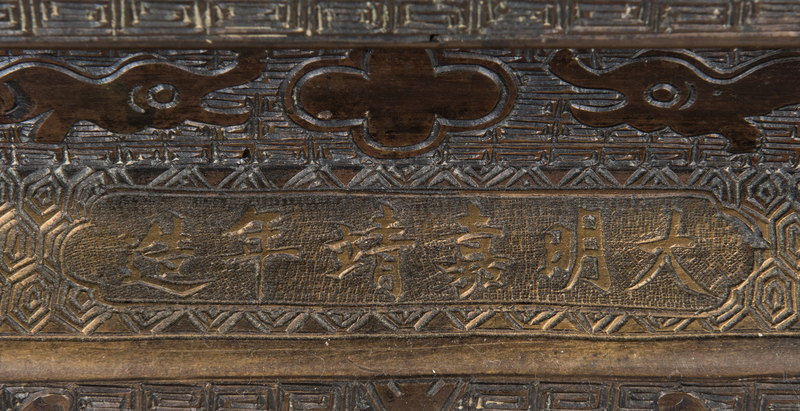 Upper shoulder of one side with Chinese character inscription. 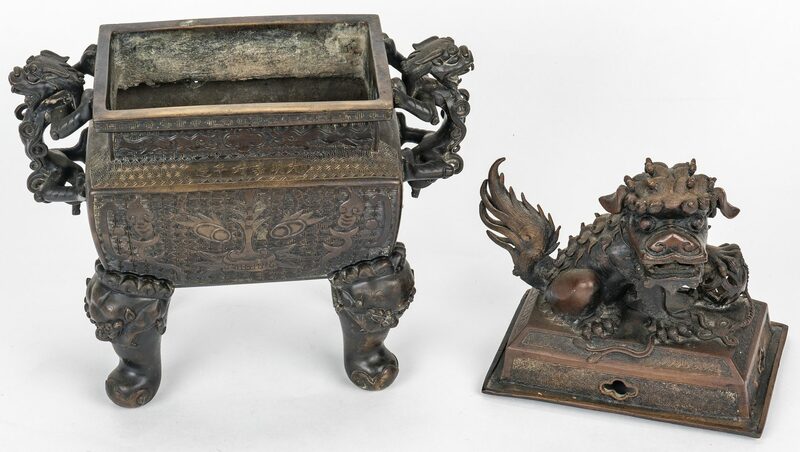 18" H x 13 1/2" W x 7" D. Late 19th/Early 20th century. Provenance: Estate of Martha Lyman, Dayton, TN. 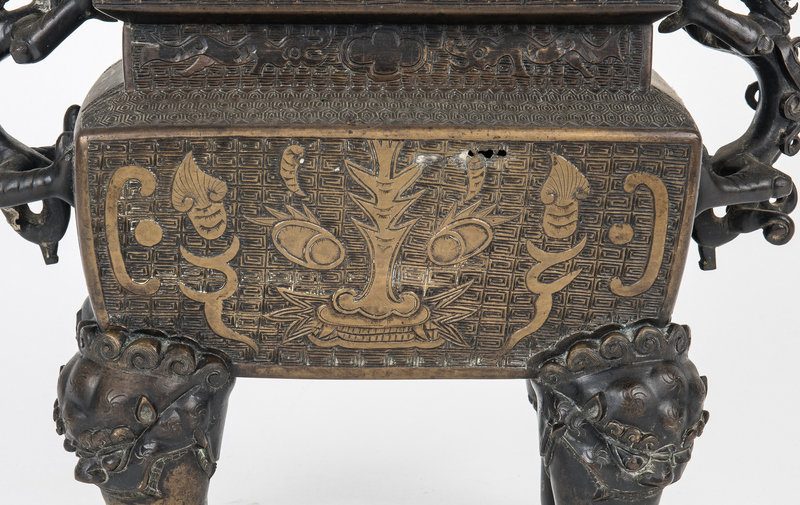 CONDITION: One side with losses upper area, one corner of lid with old damage.